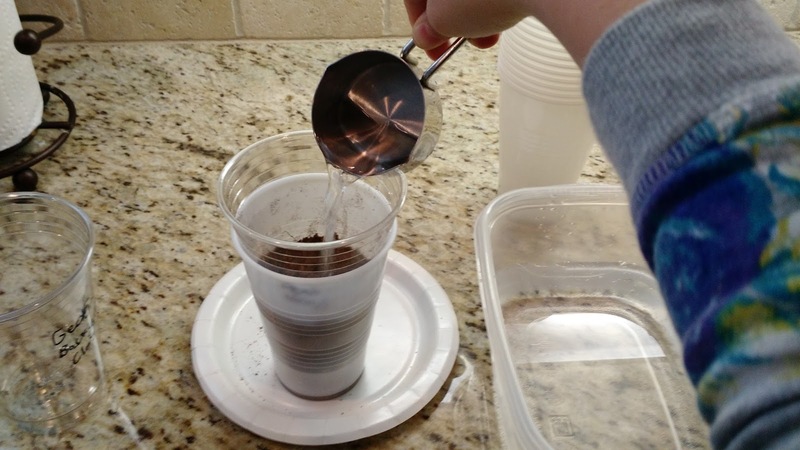 Which type of soil will absorb the most water? The girls used dark loam from Indiana (thanks to family), Georgia backyard "clay", and a bag of peat moss from the home improvement store. A blank notebook to write all procedure, observations, tape in photos, etc. --Parent, drill the same # and size of holes in the bottom of a few 16-oz plastic cups. 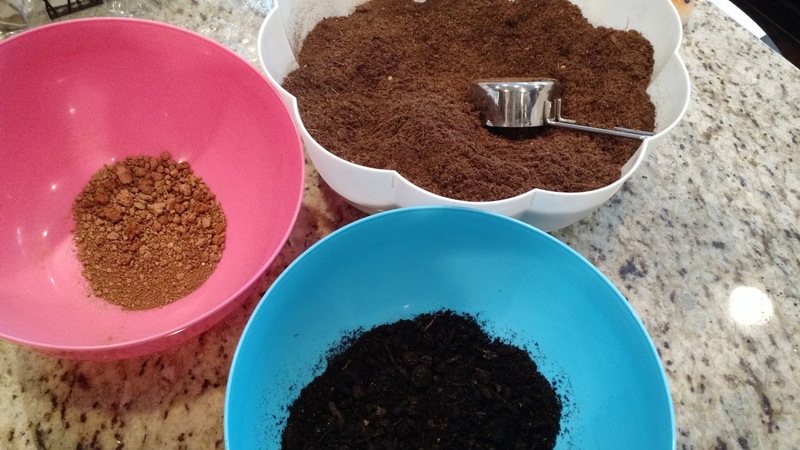 You will need 2 cups with holes for each type of soil you are testing, in order to test each twice. --Must start with dry soil (ask your child why this is important; make them think about it and include it in the logbook). So, begin by putting any moist soil in a pan and into a 375-degree oven until it feels completely dry. Once all soil is dry and cool, you can begin testing. --Place 1/2 cup of dry soil in one of the cups with holes. Place that cup into one of the smaller cups without holes so the water can collect. --Take the dirt cup out of the smaller cup. 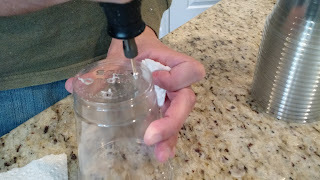 If any water is pooled on top of the dirt, very carefully pour it into the collection cup (why? because any water that went through or stayed on top did not absorb). --Measure the amount of water in the collection cup. Use the logbook to record all observations about the soil and the amount of water measured. --Repeat this process for each soil, taking photos for your display and recording all observations in the logbook. 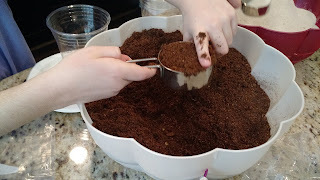 Test each soil at least twice, making sure it is dry for each test. 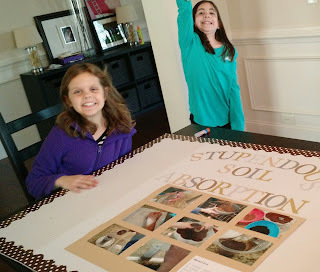 If one soil gets two very different results, it needs to be tested again for a conclusive observation. --Which one absorbed more water? --What other observations did you record? --Be sure to take lots of photos along the way! Be neat and tidy with your board and include as much information as you can. Explain what you learned. Good luck! Third grade science projects can be really fun and are a fantastic learning experience. Win or not, participating is a valuable opportunity to think, test, and observe.